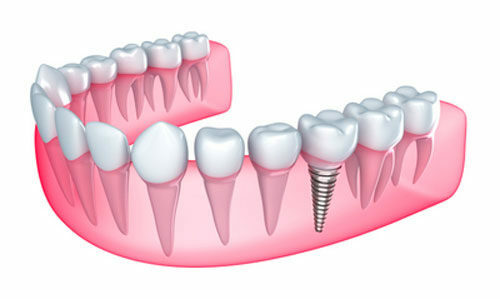 Getting dental implants is a huge step forward in helping to replace lost or damaged teeth. Still, the procedure is not without its complications, and if you are slated to have implants put in, you need to plan on making a few changes while you heal. Of course, you probably know that you should avoid hard foods like granola, chips, and so on. These foods will only irritate the incision site, causing pain and possibly even bleeding. However, there actually foods that you can eat that will aid in the recover process. Here are a few. When your body is healing, you need to make sure you are getting enough protein. Protein is one of the main building blocks of your body tissue. Look for foods that are high in protein, yet soft enough to avoid irritating your sutures. Eggs are an excellent choice, particularly when they are scrambled and allowed to cool before you eat them. Other foods that are high in protein and yet soft include peanut butter, well-cooked fish, and other similar foods. Just be sure that you are opting for foods that don’t require too much chewing – your tender gums will be spared the trauma of having tough foods pressed into them. While you are focusing on providing your gums with the nutrients they need, remember to keep things clean. A simple saltwater rinse will help keep the wounds clean and speed the healing process. Be sure that the liquid is warm, but not too hot, as that will only increase the discomfort. And take care that you do not use a straw to apply the rinse (or drink any liquids). The suction created by the straw can end up pulling sutures or scabs off. By keeping these tips in mind, you can help shorten your recovery time. You’ll be smiling and eating normal foods before you know it!